Recycling may seem a challenging task, but it can actually be quite simple and rewarding. The first thing to do is to look at recycling in a positive way and soon it will be second nature. Recycling does not have to be a time consuming thing if done properly. The best place to begin recycling is in the kitchen. Start with a spot in the kitchen where a large bin can be kept. Any old bin can be used. This should be the main recycling container. The majority of recycling companies will separate glass, plastic, cans and so on for you, so putting them all into one bag should be fine. Some services may require people to separate their recycling though. If you do have space it may be a good idea to keep things separate if possible. This also makes it easier for the whole family to take part in recycling. For other items that are non-recyclable such as meat scraps and plastic wrap there are many products out there such as Eco Bins that can be used for organic waste. It may seem like extra work, but rinsing out bottles and tins is advisable. Leaving bits of food in tins or scraps of food in containers can become a health hazard not to mention the smells. It also means being considerate of those who may end up sorting the recycling and having bits of food can make their job very unpleasant. The bits of food scraps could be stored in a composter. There are many different types available and many of them look good enough to keep on the counter top in the kitchen. Many also come with filters to prevent any unpleasant odours. 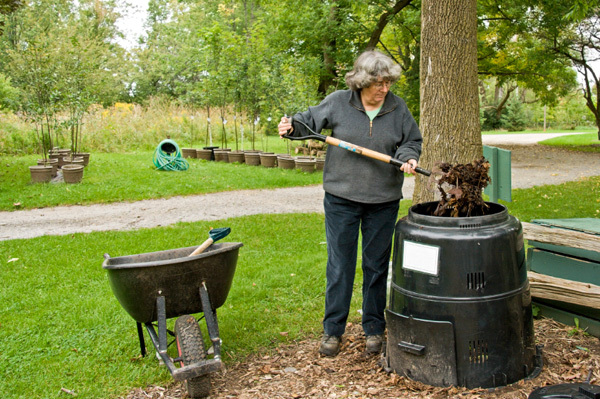 This compost not only provides nourishment for gardens, but can also save space in the huge landfills. Just remember to empty out the composter regularly; maybe it can be a chore for one of the children while you play pokies online. Recycling is a great way for the whole family to get involved. Each year loads of plastic will find its way onto landfills and plastic can only be recycled a certain number of times. Empty toothpaste tubes are not recyclable, but instead of throwing them away rather make use of them to make what is known as an eco-brick. These bricks can be put to good use in building schools or community buildings in underprivileged communities. It is also fun for the kids to make something useful with stuff that cannot be recycled. So what exactly is an eco-brick? A plastic bottle, any size can be used, is filled with items that cannot be recycled such as chip and sweet packets or cellophane paper. The lid is screwed back on and these “bricks” can be used for building. Not only do these eco-bricks help with the upliftment of communities but also alleviates the problem of landfills. Eco-bricks also help to keep the streets clean and free from trash that does not decompose. Hopefully these few tips will help you and your family to be inspired to recycle.